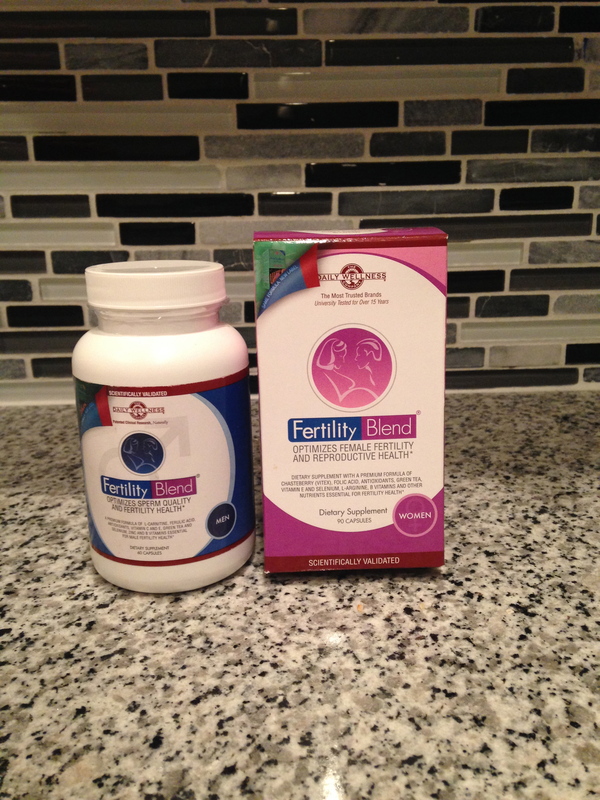 I’m currently debating whether or not I should take the Fertility Blend supplement. It states that it is a dietary supplement that has a premium formula of nutrients that are essential for fertility health. My husband decided to purchase some for each of us to see if it would help me get pregnant sooner. He has been taking the recommended dosage for the past 2 weeks but I have only taken a couple of capsules. I have been researching online and trying to see what other people think about it. Like with everything, there are pros and cons so I was just wondering if any of you have experience taking it. I usually try to take a more natural approach to things and have just been trying to cut out junk food and have been eating more nutritious foods. I’m thinking that doing that alone isn’t really doing much for me though. I have also been looking into ordering some raw Maca root powder because I have heard that it can increase fertility. So if any of you have experience taking that then I would love to hear if it helped or not. If you have information on other things that helped with your fertility, feel free to share that info as well. I’ll probably continue to do some more research before I decide to start taking something regularly. I’ll keep you all posted! What is a loop electrosurgical excision procedure? It is a procedure a doctor does in order to get rid of abnormal tissues on your cervix. They use a thin, low-voltage electrified wire loop to cut out these abnormal tissues. If you need to have a LEEP procedure, it’s because your pap smear indicated the presence of abnormal cervical cells or cervical dysplasia. Usually, before they proceed with this procedure they will do a colposcopy in order to confirm that there are abnormal cells present. Your doctor will use a lighted magnifying device (a colposcope) so they can see problems that could be missed by the naked eye. If your doctor does a colposcopy then they may put vinegar or iodine (like my doctor did) onto the cervix to see the problem areas more clearly. If any of these areas turn white from the solution used then they will take biopsies from those areas and submit them to pathology. My biopsies came back with mild and moderate dysplasia so my doctor wanted me to have a LEEP procedure. I did not have any complications and as far as I have been told, everything has healed up nicely. Just like with any type of surgery there can be risks involved though. I was told that this should not affect my fertility but there are rare cases were it can cause infertility. I was told that the main concern is possible cervical incompetence, meaning the cervix is unable to stay closed during pregnancy. This can result in miscarriage and/or pre-term labor. A cervical cerclage, where the cervix is sewn closed, can be done to ensure that your cervix remains closed during the pregnancy. I am a bit of a worry wart so I am just hoping that I don’t have to experience either one of these. If you would like to know the timeline that led up to me having my LEEP procedure then click here to watch my video. Also, my doctor called it a LEEP procedure and that’s what many people refer to it as…but I always feel weird saying it because the “P” in LEEP is for procedure so it’s like procedure… procedure? Anyways… If you have any questions about the procedure, feel free to ask and I can give more details on my experience!